I have travelled all over the world. At last count I’ve been to just about every state with the exception of some of the “deep” south states. I have been all over Europe including Luxemburg and Iceland. And in 2020 I hope to finally get to Australia and New Zealand. However, my most favorite travel destination in the whole world is Israel. There is just no other place like it. I started traveling there when I was 16 years old and honeymooned there back in 1981. I have also escorted a number of interfaith groups over the years. And I will admit I am not a religious person. You don’t have to be to go to Israel. The history, all by itself in enough to make it interesting and dynamic. If you are a person of faith and are Christian, Jewish or Muslim, than Israel takes on a whole different special atmosphere. Some of the most holy, if not holiest western religious sights can be found in Israel. Whether it’s the Via Dolorosa, or the Church of the Holy Sepulchre, or the Dome of the Rock or the Western Wall, all western faiths look to Israel and Jerusalem for wisdom, guidance and strength. All my visits to Israel have been magical. 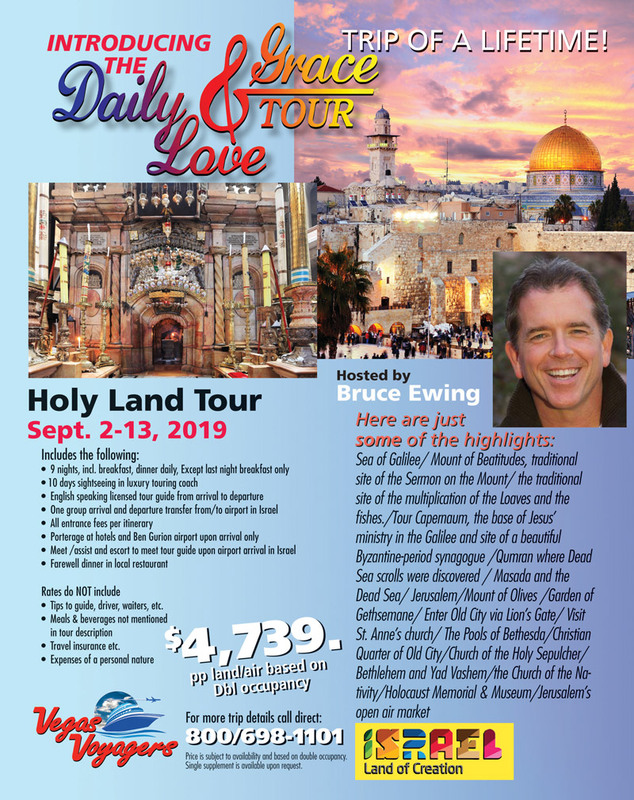 This is why, in conjunction with Bruce Ewing, music minister at Lutheran Community Church and a member of the Phat Pack, we are planning a trip to Israel September 2 – 13, 2019. 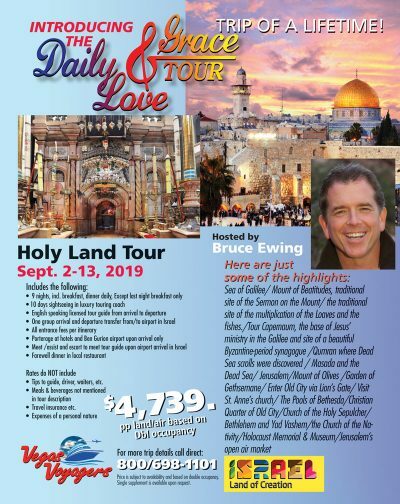 We will visit Tel Aviv, Tiberias, the Sea of Galilee, the Dead Sea and Masada and, of course Jerusalem, stopping at all the major religious and historical sights along the way. We even have a two night stop along the way at a Dead Sea spa for wellness and relaxation. Take a look at the full page ad that accompanies this article. And if you need more information we can email or “snail” mail you a full six page detailed itinerary. Of course, feel free to call at 1-800-698-1101 if you’d like to speak with me about this wonderful trip. Given the opportunity I could talk about Israel, and a visit there, all day long. Happy adventures to all.